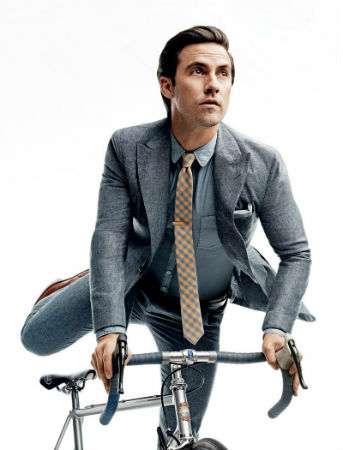 –Milo Ventimiglia is looking fine in the new issue of GQ. Just fine. –Johnny Depp apologized for joking about assassinating Trump. So I’m guessing he will now lose jobs because of this like Kathy Griffin did. What’s that? None of that is happening? Huh. –Jennifer Lawrence, Jon Hamm and more stars urge support for Planned Parenthood. –Jamie Foxx was on the Graham Norton Show, where he told a hilariously awkward story about running into his daughter’s friends at a club. –Kim Kardashian launched her new KKW Beauty line today—and sold out every single contour kit in under 20 minutes. That’s $14 million worth of goods. Say what you will about her, but girl’s got some business sense. –Jessica Williams shuts down a Tinder date in the trailer for the new Netflix comedy Jessica James. -I kinda love that Kirsten Dunst calls Jesse Plemons “Landry.” She is us. –Shonda Rhimes‘ response to Bill Cosby makes me love her. More. -The LA Times gives us an inside peek at Gwyneth Paltrow‘s first wellness summit. -It’s been a rough week. Let’s all chill and watch Aubrey Plaza get high with nuns. -I’m really that Kumail Nanjiani’s The Big Sick isn’t opening here until next weekend. Curses! -Black Panther’s Chadwick Boseman plays the first African-American Supreme Court justice in the Marshall trailer.